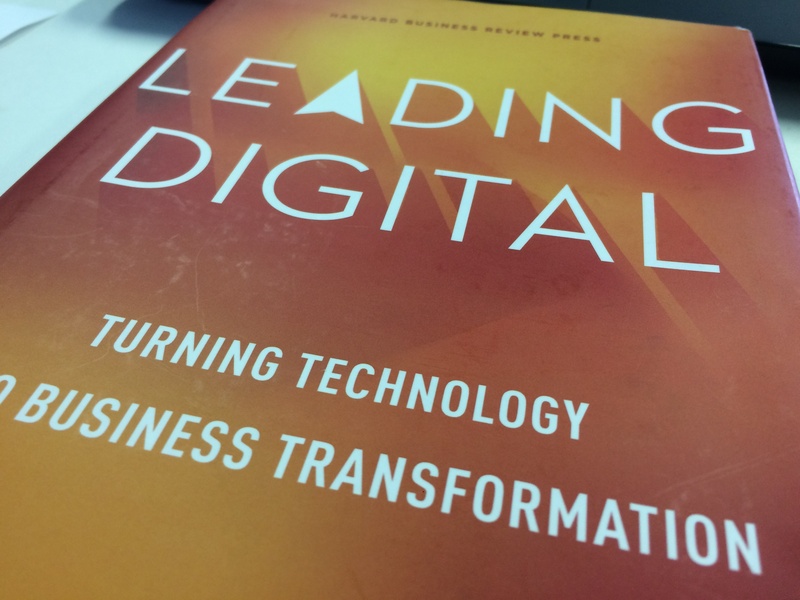 Leading Digital is a classic book on the subject of Digital Transformation. Here is a full and in-depth summary to get you started, but this is definitely one for your collection. This is a great “how to” guide for making the most of the Digital environment that we work in today. Follow the steps below to become a master rather than a victim of Digitisation. Social Media, mobile computing, analytics, the smart phone, tablets, Cloud computing. The shifts in technology are massive and all are enablers for a revolution impacting business right now. Digital transformation needs us all to think seriously about how we can become a master of digitisation rather than a victim. Digital Masters use technology to increase profitability. They are good at it, making 26% more profit than their non-Digital savvy peers. Digital Mastery is about using digital technology to create a market or drive efficiency. 90%+ of organisations don’t deliver technology for a living. That does not mean that you cannot carve out competitive advantage by making the most of technology shifts going on around you. Anyone can buy new tools. Digital mastery comes from conceptualising possibility and executing brilliantly. The Digital tools are the “What” and the execution with great Leadership capabilities is the “How”. Build your Digital Capabilities: – Transforming the customer experience is the centre of digital transformation. Making the most of the power of your core operations can set you apart. Standardisation makes automation possible. Automation, the digitisation of roles, frees up people for the things humans are good at, it doesn’t just lay them off. Control reduces process variation. It does NOT reduce the ability of the human factor in changing the way things are done. Digital technologies are unleashing people from where and when they work. Increasingly work is a thing you do rather than a place you go. Digital technology empowers, it is an opportunity. Build your Leadership Capabilities – craft the Digital Vision for your organisation, frame the Vision, define a clear outcome and intent and then engage the organisation at scale, build a governance model that suits your organisation. If your relationship with the IT group doesn’t work: – then something needs to change and fast. The IT – Business relationship must be strong to drive digital transformation. Just moaning about it will just carve out market share for competitors. To implement Digital Transformation; Frame the Digital Challenge, Focus investment, mobilise the organisation and then sustain the transition. Transformations fail because change fatigue sets in, unaligned metrics and KPIs get in the way and it just seem exhausting and hard work. It is easy to slip back to the old ways of doing things. To sustain Transformation, do 3 things; build foundation capabilities, align incentives and rewards and measure, monitor and have continual review in place. 1) Why bother with Digital? Digital technologies are enabling massive moves in how business is done. You can master these technologies and apply them to your own business. The shift is happening now. Globalisation, shifting value pools, changing demographics are all major and important drivers of change. Bigger are the shifts happening in technology: – the Social Media explosion, mobile computing, and analytics, the rise of the smart phone and tablet, the emergence of Cloud networking and computing. The shifts in technology are massive. And it does not stop: – robotics (pervasive, not just in factories), machine learning, artificial intelligence, the Internet of Things, self-driving vehicles, the list goes on. All of these technologies are digital and all are enablers for a revolution in the way business is done. Digital transformation needs us all to think seriously about how we can become a master of digitisation rather than a victim. Victim stories abound from print media to film, organisations that just did not make the move and finished up. 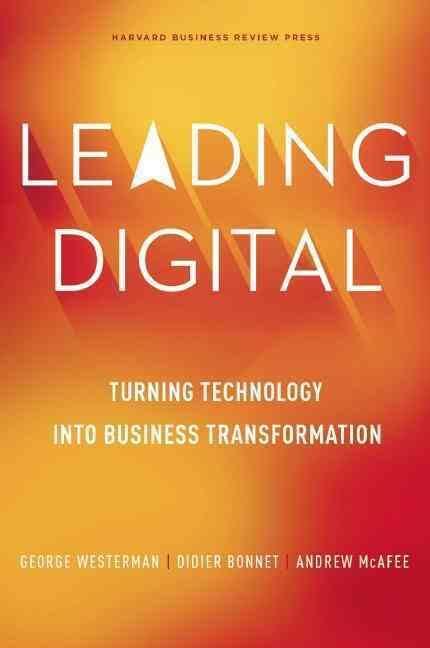 Digital Masters use technology to increase profitability and as this book will show, they succeed at it, making 26% more profit than their non-Digital Master peers. More than 90% of companies do not do Technology for a living but that does not mean they cannot carve out a competitive advantage by making the most of the technology shifts going on around them. Digital Mastery is usiing digital technology to create a market or drive efficiency. New Market – Nike created a world of customer stickiness by mashing data collection via the Fuel Band device worn by its customers with social media. This created a whole community for athletes to track and share performance and socialise. Efficiency – many examples of efficiencies in plants, supply chains and processes attained by harnessing digital technology. Anyone can buy new tools. Digital mastery comes from conceptualising possibility and executing brilliantly. The Digital tools are the “What” and the execution with great Leadership capabilities is the “How”. 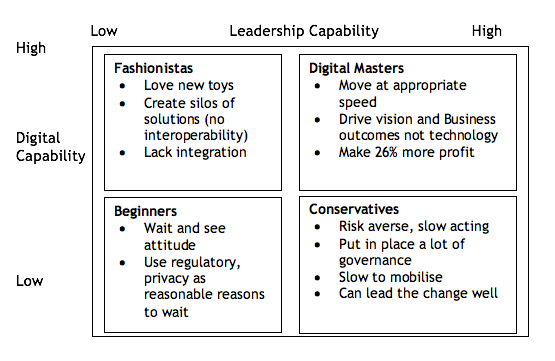 By creating a matrix of Digital capability vs Leadership capability we can see archetype organisations. A 2015 survey of 184 companies with revenues of more than $US 500m pa showed that Fashionistas and Digital Masters outperformed their peers on a raft of performance statistics. The measures were revenue/employee, fixed asset turnover and others. Thus Beginners and Conservatives underperformed on these measures. The same survey showed that Conservatives and Digital Masters outperformed their peers on pure financial measures – Profit and EBIT. On financial measures they outperform 26% on the basket of productivity measures they outperform by 9%. It pays to be a Digital Master. The mix of Digital Masters varies by industrial segment. Segments with a large % of Masters are High Technology, Banking, Finance, Insurance, Telecommunications and Hospitality. Lower segments were Pharmaceuticals, FMCG, Retail, Utilities and Manufacturing. In any vertical you cannot afford to wait. To get started understand where you are today. Are you a Fashionista, a Beginner, a Conservative or already a Master? To start your journey, know your start point. First; create a compelling customer experience. The rise of digital channels creates a challenge to your organisational construct. How do you become truly, seamlessly Omni channel as your customer are? Digital has caused speed issues for organisations providing a great customer experience. How do you keep up when you were used to a software version change once per quarter when now they might happen several times in a month? Design from the customer into the organisation: – digital customers expect products, services and information will be tailored and ready for them via whatever channel they choose. They are Omni channel. They may look on the internet, then go to a store or call you. To serve them well you need to know how customers and prospects interact with you products, services, channels, employees, infrastructure and brand. Ask yourself some basic questions – where are the pain points for customers? How can you fix the pain points? Which part of interaction can be digitally enabled or enhanced? Successful Digital Masters who have built customer-in design brilliantly include Burberrys and Starbucks. Create reach and customer engagement: – this means making investments in Digital. Digital masters make smart investments in platforms, ecosystems and applications. The investments do not need to be huge but the overall architecture needs to be well thought through. If I build an “App” how will it fit into my existing platforms and processes? Is it scalable? Easy to use? Is it really creating magic for my customers? The application could be around Mobile payment or a creation of a Social community (as Starbucks did with its Mobile Card app). All Starbucks digital investment is targeted to strengthening the bond and loyalty with its customers. Put Customer data at the centre: – Digital Masters place high priority on data driven insights. Customer Experience insights are really visible if we capture data close to customer transactions. Caesars Casino’s do just this and can personalise your stay at the hotel and time in the Casino based on the transactional profile they build on you. With Caesars it is not just about personalisation for high rollers, they aim to make your transactions as great an experience and relevant to you as they can. Digital Transformation has transformed the potential data available to you. Digital Masters capitalise on this in order to benefit their customer’s experience. Create a compelling customer experience by working from the Customer back in to the organisation. Seamlessly mesh physical and digital in new ways – delivering a great Omni – channel experience means planning and implementing change across the front end of the customer interaction and the back end processes that make it all happen. And it matters – 89% of consumers in 2011 stopped using a brand because of bad customer experience, up from 68% in 2006. In 2010 50% of consumers shared their experiences with a brand with others. They want physical and digital engagement to be equally great and social media means the stakes are massively positive for those who delight and disastrous very quickly for those who do not. Great Operations create competitive advantage. Digitising operations will give you a competitive edge. Better operations create competitive advantage. Why is it that the Japanese could give competitors tours of their operations yet those competitors could not go home and copy what they had seen? Because merely copying a process or a technology will not cut it. Great core operations come from a combination of culture, vision, people, technology and process and can be a true source of competitive advantage that others cannot mimic. The opportunity to digitally transform your operations lies in the use of robotics, analytics, and virtualisation. In transforming your operational advantage there are 3 sets of dual paradoxes. Think about how you can make the six elements in the paradoxes work for you in your business. When you do, you can free yourself of the assumptions and pre digital age “that is how we do things around here”. Standardisation must remove empowerment of humans. Or so runs the orthodoxy. Is this not ultimate extension of Taylor’s industrialist theory? Not quite. Standardisation makes automation possible. Automation, the digitisation of roles, frees up people for the things humans are good at. Examples include the automation in airplane cockpits which does not eliminate the pilot, but does free him up to be a monitor of all he/she surveys rather than just flying the plane. Ultimately this enhances passenger safety. Or removing a raft of routine standardised Human Resource (HR) functions to digitally enable online self-serve. This frees up HR professionals to help the business with complex human issues and become business partners rather than administrators. Yes, there may be some reduction in numbers of people, but there are ongoing roles for people of greater utility to the people in the organisation they serve. Within these richer roles there is more breadth and ability to continuously improve and grow, in short the new roles are more empowering. Control reduces process variation. In a six sigma, continuous improvement world this is a central goal for any operation. At the same time it reduces the ability to innovate. Or so the orthodox theory says. Digitisation enables a break in this assumption. In the restaurant business the opportunity for fraud is everywhere. Sad but true. One restaurant chain in the US put in place point of sale software that narrowed the opportunity for fraud. They found a 21% reduction in theft, a 7% increase in revenue, drink sales rose 10.5%. It can be assumed that the sales and revenue increases were due to those monies no longer going into unauthorised pockets. The software allows innovation too. With the precision data collected about buyer behaviour; times of purchases versus weather conditions and whether there is an event going on nearby, the restaurants can vary menu and bundling of food packages to suit demand more precisely. In this way digitisation can help control AND innovation can work together to raise profit and better serve customers. Innovation need not be sacrificed at the behest of control any more. Digital technologies are unleashing people from where and when they work. Increasingly work is a thing you do rather than a place you go. Digital technology can also link the chain that delivers outcomes. Think of the Mobile device capturing customer information at point of service, then linking to warehouse and production ERP systems. GPS technologies that allow you to organise and control workers in the field or logistics, linking to scheduling and delivery systems. In this way orchestration of your business is improved via digitisation. Supply chains become enhanced and less error prone when the linkages are digital. When you link every element of a supply chain digitally you remove barriers, layers and lapsed time between production and your end customer. Air France cut kilos of paper work from being carried in planes and freed up pilots time for more important tasks (like flying planes) by installing tablets called Electronic Flight Bags on its aircraft. The pilots refer to them as the “Pilot Pad”. It has taken 8 years to take this from newly introduced with resistance to a point where the pilots take them for granted. So for Air France instead of a paper based nightmare they have moved to a digitised world where they can update all pilots of changes via the pilot pads in 24 hours, a huge improvement in orchestrating their business. Pilots and cabin crew have been unleashed from reams of paperwork to create and read and can focus more on the core job. The paradoxes of the Digital age such as rigidity driven be automation making automatons of human beings are fiction. As every revolution before, the new methods and tools unleash humans to forge ahead on new value adding work. Using Digitisation you may be able to connect actors in the supply chain in ways not done before or leverage the supply chain in new ways or reconfigure customer’s value chains. An example of linking is Airbnb which links people wanting a room with a person wanting to let a room via a digital platform (this is known as the “sharing economy”). Now booking 150,000 rooms per night vs Hiltons 600,000 rooms and Airbnb has built this in a few short years. An example of reconfiguring a customer’s value chain is Amazon Web Services (AWS) provision of “cloud” services to customers so that they do not have to buy IT hardware. AWS make a fee via Pay as you use rather than revenue from a one off hardware sale. Both AWS and Airbnb are examples of business models (Sharing and As a Service) that reinvented the Hotel business and IT Hardware business respectively. When you see a steady decline in profits or customer numbers for a product line, you need to move on substitution fast. Experiment with new models that use your brand whilst funding from the profits that you have from non-affected products. Postal services are an example. In Australia the post has moved from 100% of written/text based communications to less than 1% in a generation. The Danish Postal company facing the same issue introduced E-Boks to substitute. E-Boks are digital mailboxes that provide the ability for e-commerce and services similar to online banking to consumers. It works via the internet or a mobile app and 80% of the Danish public are signed up to E-Boks as at 2013. This is about creating a new category that does not exist. Nike took a Fuel Band (digital wearable) or a GPS enabled watch, a sensor in a shoe sold to customers, an IPod or Xbox or similar and a platform that linked to the internet and put it all together to make “Nike +”. This enables Nike customers to record their exercise, share it, and chat about it online. At the same time Nike synthesise the data into insights that they can learn about their customers. Nike + creates an athletic social community and a massive data set for Nike. This completely new category has led to increased shoe sales to new customers and increased retention of existing customers. Use technology to connect your products, services and information in a new way that can benefit customers. This creates real switching costs for customers. Volvo has created an always on connected link from drivers/owners of Volvo cars to a Volvo call centre via a push to talk button in Volvo cars. This is a roadside assist program provided free with the purchase of your car for a few initial years and then for a fee thereafter. The function also triggers automatic alerts when an accident has happened and helps with theft tracking of the vehicle, door control, heater control and other services. Use of technology has connected Volvo cars with Volvo service without disenfranchising the Volvo dealers. Combine your products in a digitally enhanced way. Think of insurance. Tokio Insurance saw a gap in the market for very short term insurance. They created “One Day Auto Insurance” and linked up with Japan Mobile provider Docomo to create an insurance app that allows insurance to be bought on the spot for the required number of days when they borrow a car from family or friends. They also have been using mobile and location based analytics to understand consumer behaviour in a detailed way in order to create targeted products. Transform your business through product substitution, new businesses and methods of value delivery. This is how you maintain your market lead and grow share. A Digital Vision, to be effective, needs to be transformative. The authors surveyed executives in nearly 400 companies. 42% said that their senior executives had a digital vision and only 34% said it was shared with senior and middle level executives. In Digital Master Companies the figures were 82% and 71% respectively. So what are the steps to craft a Transformative Digital Vision? 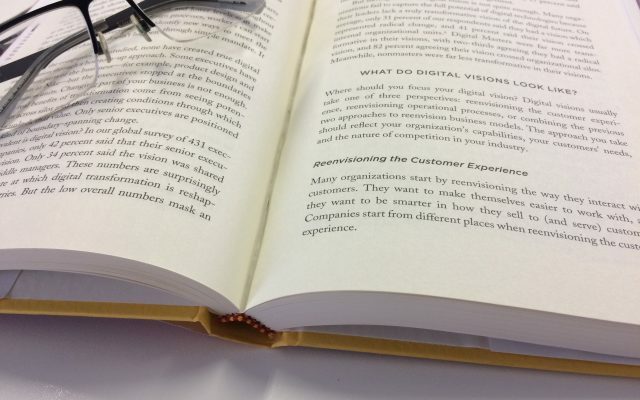 Re-envision the customer experience – i.e. how you interact and engage customers, how your brand is engaged by customers. It can be by moving the interaction online or by utilising analytics to improve the level of personalisation and tailoring of service. Or it could be by using digital tools to learn more about customer behaviour, gain insights and use those insights to better serve customers. Or it could be by exploring how digital tools can actually help the lives of customers – healthcare is a great example here by creating tools for patients to assist healthcare professionals to remote monitor their condition. Re-envision the Operations of the organisation – this can be around using digital tools to better integrate siloed operations. To allow vastly improved collaboration via unified communication and collaboration technologies. Or to drive automation and integration. Re-envision Business models – a great example here is General Electric who are swiftly moving from manufacturing and selling capital goods to developing a market in the Internet of Things; a vast capability of connecting devices and communicating with those devices. Thus they intend to drive the “Industrial Internet” to make infrastructural systems more intelligent. This is a major and brave shift from their business model that has built them into the giant company that they are today. Identify your Strategic Assets – these should be VRIN. Valuable, Rare, Inimitable and Non-substitutable. Which of the strategic assets your organisation has today are valuable and transportable in a Digital world? Substitution: – using technology to do what you already do today. I.e. providing apps on a mobile phone thereby allowing staff to do what they do today on a PC on a mobile device. Extension: – improving a process or product without massively changing it. An example is enabling workers to access information online in the field rather than coming back to the office. Transformation: – fundamentally redefining a product or service through technology. An example here is creating digital mine sites with remote mining or automated vehicles. Define a clear outcome and intent – an example from France is their Business phone directory service “Pages Jaunes”. A printed service under attack from Digital Services, their CEO set the goal that 75% of their revenues would be from Digital Services within 5 years. A clear intent with outcomes that forced Digital Transformation of the business. Evolve the vision over time – give employees a vision that is specific enough that everyone understand it and flexible enough to allow individual innovation and discretionary effort to achieve the outcomes. Any Transformation is only as good as the people who are behind it. Engaging the employees is the only way to make the transformation happen. Keep in mind transformation is by definition a change in state, therefore it is a one way trip. Change, by contrast can be a two way process. We can change something and then change it back. Thus Transformation is a real challenge to a company. It means new work practices, skills, behaviours, processes and that all needs employee engagement. So what do we need to do? Connect the organisation: – this means implementing digital technology that allows everyone to collaborate, gives them a voice. A companywide social network is an important tool here. Wikis, micro blogs and other techniques will also help. The Enterprise Social network ensures a flow of dialogue rather than one way presentation. This level of transparency is not a nice to have, if you want a transformation that sticks, it is a must have. Encourage open conversations and dialogue: – encourage and allow people at all levels to enter into dialogue about the strategy and vision. With the organisation connected you need to encourage a wider group dialogue to gain traction and share context for the transformation. The leaders need to be using the tools and leading the dialogue. This role modelling is vital. If your executive are technology shy then give them some reverse mentoring on the tools from your millennial employees. A plugged in enterprise-wide community presents a brilliant opportunity for leaders to role model the technology and engage in open dialogue. Crowdsource employees to co-create solutions: – digital technology provides a great virtual hub for you to collaborate and solve problems together. To crowdsource ideas and innovations that can enable transformation. Contests and hackathons can be run to make it a fun process. You can even use your external business partners for this. Crowdsourcing can really build engagement. It will not always be easy: – there are long tenured employees who are less ready to change, there is the digital divide between the technology savvy younger employees and older employees. There is overall human resistance to change. All of these ensure that transformation will not be plain sailing. If it was easy the marketplace would have many more Digital Masters. Connecting, encouraging dialogue and crowdsourcing solutions are not the total panacea but will help raise engagement for the transformation. Coordinate by prioritising, synchronising and driving initiatives across the organisation. Share common capabilities, platforms and resources across the organisation. Use the right mechanisms to get results: – the fit for purpose mechanisms vary according to the nature of organisation and transformation. Three types of mechanisms will get the job done; committees, leadership roles and shared digital units. Each has a different role. Governance Committees – main aim here is coordination. They help by setting standards and optimising resource sharing. Good decision making bodies as long as the group is set at a senior level. The Steering Committee is the usual mechanism used. Innovation or Technology committees – these aim to help the organisation implement technology, processes effectively. Ensuring training, resource sharing, regulatory needs and other needs are coordinated. Leadership roles – will drive sharing by encouraging the use of digital resources. Also will help with co-ordination. Chief Digital Officer (CDO) – turns the technology cacophony into a Symphony! This role creates a digital vision, paints a picture for the organisation of digital possibilities and coordinates digital activities. This can be a temporary or permanent role. Digital Liaisons – are champions who can drive the digital initiatives at local level. They steer the transformation at local level often working in to a CDO.Shared Digital Units – committees decide, CDO’s drive. There is sometimes a need for a central, shared group of experts and resources to help the transformation move through implementation. It could be the building of a central platform for enterprise wide use. Digital units require thought, resources and management. Implemented badly they can confuse the organisation and blur lines of accountability. When implemented well they will accelerate innovation and drive efficiency. They pool funding, digital tools and skill sets for enterprise wide usage. If your relationship with the IT group doesn’t work: – then something needs to change and fast. The IT – Business relationship must be strong to drive digital transformation. In “Digital Masters” there rating on the “Shared Understanding” metric between the business and IT was 32% higher than non-Digital Masters. Success happens when there is real collaboration between IT and the business…and the business and IT! When the relationship is strong the IT – Business partnership will merge technical knowledge, product and customer knowledge and change capability into a single transformational force. Business moves at the speed of trust and if it is broken between IT and the Business you have a major handicap to a real digital transformation. Any or all of these reasons may exist in your organisation and even be true. And if the IT organisation and business do not try to improve the relationship, nothing will change except everyone will get older and slower and the gains of Digital Transformation will belong to your competitors. Work with each other: – ask the hard questions – Does IT cost too much given what it has to do? Is the IT organisation really bureaucratic given the need for standards and procedures? What investments could help IT improve cost effectiveness, speed, processes, and quality? Some of the answers may be confronting for both groups and the aim here is lifting our technology capability and leadership. Create Dual speed IT: – run the traditional IT model for the items that need the processes and standards to be run that way. There is a reason that they work this way and it is usually to protect the business and its reputation. There are projects that can work at Digital speed (some companies do up to 10 releases PER DAY). So have the IT and the Business identify the projects and services that can be built in the rapid build, test, deploy model and run those in parallel with the existing IT model. This dual speed model will have huge learning benefits for the organisation as well as low risk high speed to market. One method that has developed to deliver this kind of high speed IT/Business collaboration approach is “Devops”. Devops brings automated tools to testing, configuration control and release management and brings rigorous processes and tools to help groups work collaboratively together. Dual speed IT needs strong collaborative leadership from the IT and the Business functions. In the survey for the book 82% of Digital Masters are actively investing in developing digital skills. For non-Masters the score was 40%. Skills being invested in are Analytics and hybrid digital skills (Tech people who are business savvy or business people who are a bit tech savvy). Remember there is a skills race on. There is a massive shortfall of analytics specialists (of 4.4 million analytics roles created globally per annum it is estimated that only 33% will be filled). To meet the challenge organisations need to have a portfolio approach: – build (train), buy (hire), borrow (use partners) the skills necessary. Building a strong Digital foundation will yield immense benefits for your Digital Transformation efforts. It will give scale, standards and a single view of the customer. Work hard to build this platform. This takes investment. Often the foundational investment does not have a direct payback and thus needs very senior leadership support. To gain a single non siloed view of the customer, rid yourself of “legacy spaghetti” and allow yourself the opportunity to scale the business according to demand, you need a solid digital platform to support you. If you already have strong enterprise wide ERP and CRM systems you have a great start. Great digital platforms need leadership including resilience, courage and patience. It means being ready to kill projects that will compromise the platform or are circumventing being part of the platform. Jeff Bezos of Amazon took a stick approach – he mandated that any new development had to follow a very strong set of standards/design rules and said in writing “anyone who does not do this will be fired”. The discipline at Amazon transformed their business internally so much that in the end they could offer the platform and processes to customers. That platform became Amazon Web Services which today turns over $10bn US per annum and is over 10% of Amazon’s total revenue. Other leaders have taken a carrot approach offering cost reductions to business leaders in the organisation to those who use a new platform. Carrot or Stick, it takes strong leadership to develop and deliver a great Digital Platform in an organisation. The payoff though will be speed to market, great single customer view, analytics capability, personalised marketing and vastly improved customer experience. We need to Frame the Digital Challenge, Focus investment, mobilise the organisation and then sustain the transition. Build awareness: – put transformation on your agenda. Start the dialogue with the top team. Use examples to drive the point that digital is disruptive. Ensure that the team are engaged in the dialogue and articulate what it means to the organisation. And understand in your context how much and how fast you go. The top team in the company should go and spend a week visiting organisations who have been disrupted and have either led or been forced to transform. Experiential learning is very beneficial to building awareness. From this you build the necessary coalition of believers in the need to transform. Know your starting point and ensure the organisation feels and believes the need for Transformation. Chart the journey: – plan and set a program and pace for your organisation. Determine the trajectory that works for your organisation, every organisation is different. Assess your strategic assets: – what is truly Strategic in carving out your niche in the market. What physical assets really matter in a digitally transformed world for your organisation? Which competencies that your organisation possesses really matter? What intangible assets do you have that are strategic (e.g. brand, patents, culture). Finally what data do you possess that holds great value in a digital marketplace? Data is becoming a huge asset, from aggregated customer spending behaviour data (Banks have this) to customer location behaviours (Telecommunication companies have this). Challenge your business model: – be apocryphal – engage in a game of DYOB or WWAD (destroy your own business and what would Amazon do?). Open the top teams’ mind to possibilities. Craft your transformative vision: – there are a lot of facilitative exercises to actually do this. Ensure it is authentic, focussed on your business and customers and gives a clear intent on what has to change. Keep it outcome focussed. Finally don’t make it a Marketing slogan, keep it real. Align the top team around the vision: – a good test of their alignment is whether they can individually articulate the digital vision through specific words and goals. If they all independently say the same thing (and mean it!) then you have alignment and engagement. Most senior teams are aligned around a Digital Transformation vision but many less are aligned on how to achieve it. To execute we have to translate vision into action, build governance and fund the transformation. Ensure there is a delivery plan with dollars attached to the stages of the plan. Then ensure investment is focussed and the sources of investment are clear. Translating vision into action: – first define what good looks like i.e. “by 2020 70% of the network will be virtualised” or “By 2019 Digital sales will be 50% of all sales”. Build the good looks like outcomes in terms of customer experience or operational excellence. With this quantification you can build KPI’s and scorecards for the team to deliver too. Build a delivery roadmap: – this should have a defined start point, i.e. a clear understanding of where you are today. It should be designed around business outcomes as milestones. Remember technology is an enabler not a milestone in itself. Setting the roadmap should involve a broad group of stakeholders. Engagement in the delivery roadmap will help drive success. Set the roadmap up as a series of sprints not a long term mega goal. People need to see results and sprints help demonstrate that we are getting somewhere and achieving something. They also allow for iteration and course correction. Build your business case early and attach the dollars from that business case into your roadmap activities. This is for the costs and the benefits that you anticipate in the business case. Build governance: – determine the appropriate type of governance for your organisation and for your transformation. Governance is about coordination and sharing (of resources, funding etc.) across the organisation. First ask yourself what resources you will need to share across the organisation to achieve the transformation. Then ask what initiatives should be shared across the organisation. It will not be all of them. You want agility AND standardisation. Ask whether sharing will be optional or mandatory and at what level in the organisation. You can then choose which mechanism is best to meet the goals you have set. Is it Governance Committees or Digital leadership roles or Shared digital units? Be ready to evolve the Governance model you put in place as the transformation moves along the implementation path. What is right today may not be later in the initiative. Demand for the money – set up the right funding models: – recognise the foundational investments – these are the platform(s) that cannot be funded at business unit level that allow the transformation to scale. They will not make a positive cash flow for a business case and need strong, senior leadership support to gain funding. Maintenance investments minimise your business risk. Again need strong senior leadership support as these are easy to push out or push to one side. Things will run fine without maintenance for a time. The final collapse can be dramatic and very business impacting. ROI Investments – easier to justify as there is a clear business benefit in doing them. Finally early stage Innovation investments are more speculative with results being highly variable. Utilise each of these applications of funds as appropriate to the transformation. Ensure you have a clear measurable visible scorecard and have quick wins scheduled in. Supply of the money – access various investment sources as appropriate. Central investments – these come from and are owned by a centralised unit in your organisation. Local Investments – this is funding sourced at a business unit level. Useful when a particular initiative is targeted at benefitting a specific business unit. Partner supported investments – this can be tied to volume usage of a partner’s products/services/platform and can be useful for launching new technologies at a significantly reduced price. You have a top down strategic scorecard to guide the transformation. Your roadmap covers all changes needed – organisational as well as technological. Your digital initiatives are well coordinated across business siloes. You are clear on what needs to coordinated and what resources need to be shared across the business. Roles/responsibilities for digital initiatives are clear. Business cases are linked to the roadmap. Digital investments are balanced between foundational, short term ROI types, maintenance and experimental. 64% of employees feel that Senior Management have not adequately engaged them to share the vision. To do this well we have to signal our new ambitions clearly, earn the right to engage, set new behaviours and evolve the culture. Signal our ambitions: – this means the CEO and senior team sending clear unambiguous messages about the new envisaged future. This can be done by an appointment of a very senior person in the company into a Chief Digital Officer role. Or the statements of metrics to be achieved “60% of new sales to be via Digital channels”. We need to answer the WIIFM (what is in it for me) for the people in the organisation. State the benefits very clearly and ensure they are what people would perceive as benefits. People’s first internal question is “why should I engage with this new vision?” We need to use multiple communication channels: internal social media, town hall meets, intranet, blogs, webcasts etc. Messages have to be repeated often and through multiple media to sink in and be heard. Earn the right to engage: – Be the change you want to see in the world. Engagement is earned not dictated. If you want others to adopt digital, the leadership has to do it and in a real and ongoing way, not just a token effort. Co-create with the rest of the organisation, with Digital tools and methods there are many ways to crowdsource input, feedback and engage the company team. Identify change champions; there are always those who jump on and engage early and enthusiastically. They see the benefits early. Use these champions to spread the word and show others why and how to jump onto the transformation and help it happen. Finally identify some quick wins; people love seeing some early benefits and quick wins really do pick up the mood and help drive people forward. Senior and middle managers share a common vision of the Digital transformation. Employees understand the benefits of the transformation. All can actively participate in dialogue around the Digital initiatives. There are “true believers” identified and playing a role in implementing the transformation. There is regular identification and communication of quick wins. Senior leaders act as role models in the adoption of new behaviours. Failure is authentically tolerated and learning derived. The new culture is openly and explicitly promoted. Transformations fail because change fatigue sets in, unaligned metrics and KPI’s get in the way and it just seems exhausting and hard work. It is all too easy to slip back to the old ways of doing things. To sustain transformation do 3 things; build foundation capabilities, align incentives and rewards and measure, monitor and iterate. Build foundational capabilities: – understand the skills you will need and inventory the skills you have today. The gap that emerges will show where you have to build. You can build, borrow, and buy skills. Start with the top team and take an innovative approach to skills, for example gamifying the recruitment process can be attractive to target digital natives. Cast your net wide to acquire (buy) skills. In your own industry and others. Put in place Digital Training programs to bring employees up to speed with the technology. Other training methods can be reverse mentoring with digital savvy millennial employees teaching senior managers and others. Or employee exchange programs with partner companies. Partnering with other companies can fill skill gaps through either training or exchange. Think about setting up a Digital centre of excellence or university; a facility where people can go to gain digital knowledge. Think about acquiring a company that has the skills you need; an “acqui-hire” strategy. Finally offer incubation for start-up companies. They can benefit from your facilities and you can benefit from their digital skills.Moving on to technology build a Digital platform that can act as a foundation to the transformation and a bridge to customers. This needs to be architected to standardise technology, applications and infrastructure. Also architect your processes for standardisation and finally architect data so that there is only “one version of the truth”. Data architecture is core to identity management and product/service building, getting it right is a huge benefit to the business.Ensure the relationships are in place. A strong IT: Business relationship is a crucial foundational element. Ensure that there is top down driving of the initiatives and they are project based and have strong governance. Align reward structures to transformation goals: – This starts at the top, an aligned top team with collective incentive will help. Ensure that initiatives are looked at episodically (i.e. end to end) rather than transactionally (i.e. one component or process). The whole operation must be rewarded and KPI’s aligned to it rather than componentry. This will ensure from organisational core to end customer experience we build a smooth and aligned experience. Ensure your reward structure is non-financial as well as financial. Recognition takes many forms and people engage with many forms of “well done”. From peer recognition, to ideas being adopted publicly and notes of thanks. Finally reward your business partners. The companies who help you deliver your transformation will align more closely with your goals if their reward structure links in with those goals. Measure, monitor and keep the top team involved and driving the Transformation. The day it moves to delegates is when it will be in danger of dying. Measure and Monitor: as with anything you cannot manage what you cannot measure. So you need at Strategic Scorecard. This will be actively managed by the top team and include measures and targets which cover financial, customer experience, operational process and capability building aspects of the transformation. Project level KPI’s should also be driven, monitored and measured. These KPI’s must tangibly link to the Strategic Scorecard and be aligned. Finally there needs to be an iterative review cadence that puts rhythm and discipline into implementation at a detailed level. The organisation is investing in required skills. The IT: Business relationship is strong and positive. Financial rewards link to Transformation goals. Reward and recognition link to Transformation goals. Digital initiatives are assessed through common KPI’s. There is clear linkage between project KPI’s and the strategic scorecard. We regularly review progress with the Top team. If you enjoyed reading this summary, please subscribe to our newsletter for more. To purchase your copy of Leading Digital, please click the image below.